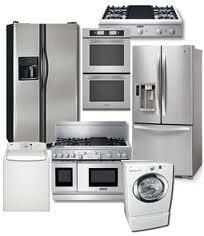 Are you looking for a good appliance repair company in Wayne, New Jersey? If you are, maybe you want to know more about us. We are here to answer any questions you might have. Our skilled techs provide effective service at a fair rate. You can depend on us to be friendly and helpful at all times. At Appliance Repair Wayne, we are dedicated to customer care. Our appliance experts are all about customer service. 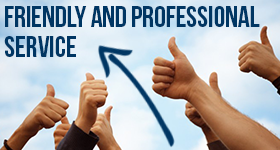 We offer a very nice customer satisfaction guarantee. Our goal is to make you happy. We want you to use our services again. We can enhance our chances if we treat you right the first time. You can’t go wrong with our appliance service technician. We will properly repair any appliance in your home. Our techs are true pros. We are experienced and focused. Many customers like our detail-oriented service approach. We know kitchen and laundry appliances inside and out. There is not a unit we cannot fix. We will service all brands, makes, and models. Our rates are low, but you can depend on high-quality service. We will come out the same day to fix your appliance problems. Those are pretty good reasons to choose our pros for appliance service. We offer fast and effective washer & dryer service. Our experts can service any type of front or top load unit. We will also fix any kitchen appliance. Our techs do great work on fridges and freezers. We will service any oven, range or stove. You can also call us to fix your dishwasher or microwave. There are many things we can do for you. Choose Wayne Appliance Repair for service you can depend on. You can trust our techs to respond urgently to your needs. Give us a call and let us show you what we can do.